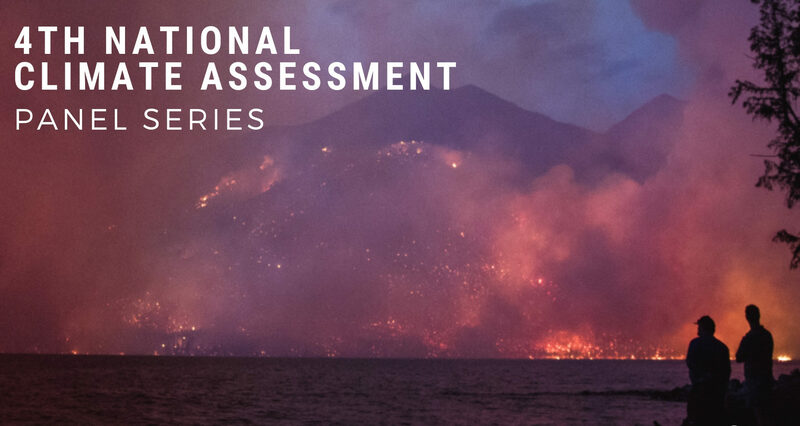 ASHEVILLE, N.C., Feb. 7, 2019 — The Collider will host the second in its two-part panel series focusing on the fourth National Climate Assessment on Thursday, February 21, from 4:30 to 6:00 p.m. The discussion will identify some of the impacts climate change is having on cities and highlight the importance of conservancy in creating and maintaining climate resilience. Experts from the North Carolina Institute for Climate Studies, NEMAC+FernLeaf and the Southern Appalachian Highlands Conservancy — including Tom Maycock, Jess Laggis, Karin Rogers and Matt Hutchins — will be among the panelists. Tom Maycock has served as the science public information officer for the North Carolina Institute for Climate Studies (NCICS) since September 2014. In addition to managing communications for the Institute, Tom is a science editor with NOAA’s Assessments Technical Support Unit. He was also a lead editor on both Volumes I and II of the fourth National Climate Assessment. Jess Laggis is a native of Swannanoa who enjoyed growing up on the campus of Warren Wilson College and roaming the nearby mountains. Her strong sense of adventure led her to hike the southern half of the Appalachian Trail, study and work abroad in far-flung places, and finally return home to farm in the Western North Carolina mountains. Jess is currently the Farmland Protection Director for the Southern Appalachian Highlands Conservancy (SAHC), where she leads efforts to conserve farmland. Karin Rogers is the Director of Operations and a Research Scientist at UNC Asheville’s National Environmental Modeling and Analysis Center (NEMAC), where she works with NEMAC’s federal, local and state partners to deliver and communicate their science for more informed decision making. Her knowledge of environmental science, decision science, and team dynamics help groups use scientific information to better understand and face the challenges of a changing environment. Karin also co-leads the NEMAC Student Intern Program. Matt Hutchins is a Research Scientist and Environmental Change Project Lead with UNC Asheville’s NEMAC, where he has helped a variety of communities make more informed decisions in the face of climate change and other environmental threats. Matt combines his knowledge in environmental science, climate change and decision science with technical skills to help groups use information to better understand and deal with the challenges they face. Matt specializes in Geographic Information Systems (GIS) and spatial databases, web technologies, and vulnerability and risk assessment.